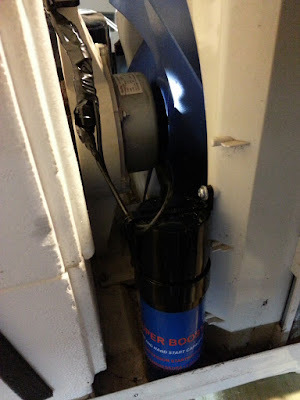 To make this work better, I added a booster capacitor so it should work on a generator with less surge needed to start. Luckily there was already a hole in the plastic to mount it to. 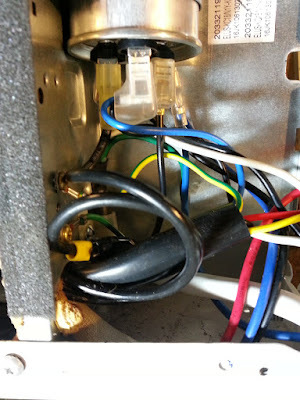 Make sure wires can't get sucked into the fan.